E’ disponibile pronta consegna il nuovo Vaterra Glamis Uno Single Seat Buggy 2WD 1:8 RTR. Inspired by the monstrously overpowered sand rails that run the dunes of Glamis, this Vaterra 1/8-scale buggy comes ready to run and equipped to handle all kinds of terrain. At the center of its design is a Viscous Torque Vectoring (VTV) differential that prevents wheel spin on loose surfaces when you’re cornering hard or hammering the throttle. Its smooth actuation and consistent feel provide extra confidence over a variety of surface conditions. It is fully sealed and can be fine tuned using different weights of silicone oil. It’s tough too. From the extruded aluminum chassis and oil-filled shocks to the waterproof electronics*, the Glamis Uno buggy is built to let you go off-road in the real world. 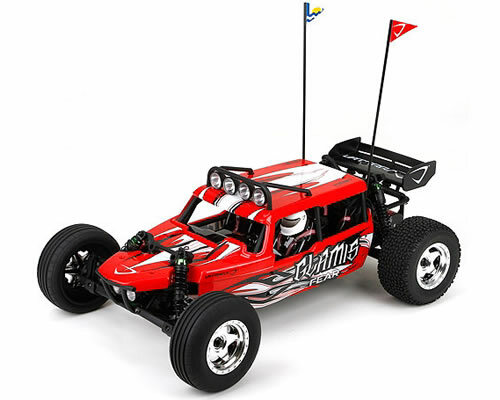 Disponibile pronta consegna la nuova Vaterra Glamis 2wd 1:8 RTR. 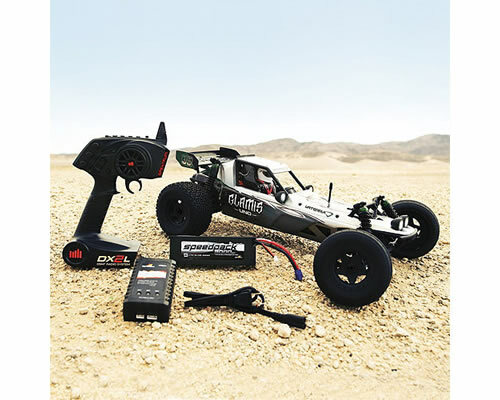 Inspired by the monstrously overpowered sand rails that run the dunes of Glamis, the Vaterra 1/8-scale Glamis Fear comes ready to run and equipped to handle all kinds of terrain. 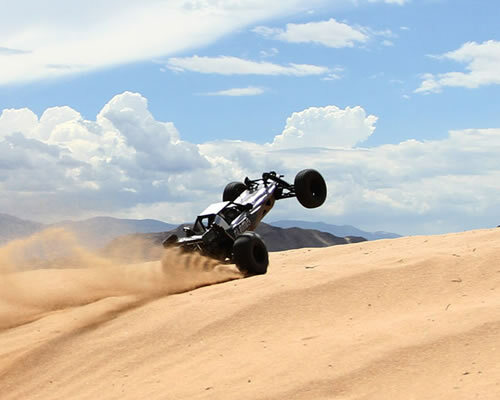 From the composite nylon chassis and oil-filled shocks to the waterproof electronics*, the Glamis Fear 4-seater buggy is built to let you go off-road in the real world blasting through sand, rocks, mud or wheeling on asphalt. The Glamis Fear is designed to excel in any driving environment. The Glamis Fear also features a unique transmission designed to withstand the rigors of serious bashing. At the center of its design is a Viscous Torque Vectoring (VTV) differential that prevents wheel spin on loose surfaces when you’re cornering hard or hammering the throttle. Its smooth actuation and consistent feel provide extra confidence over a variety of surface conditions. It is fully sealed and can be fine-tuned using different weights of silicone oil. 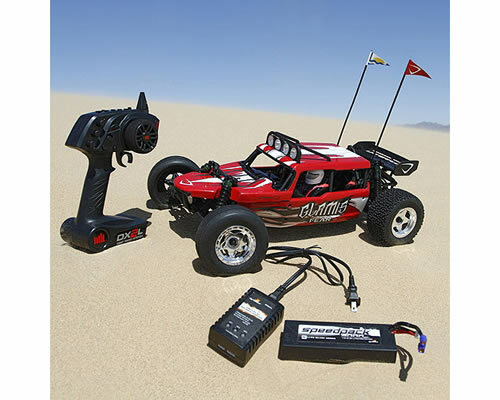 The Glamis Fear comes with a Spektrum 2.4GHz radio system, including a DX2L transmitter and SR200WP waterproof receiver providing interference free performance and extended range. The Dynamite 3300KV brushless motor and 3S Li-Po compatible ESC provide enough speed and power to handle every type of terrain imaginable. As with all Vaterra vehicles, the Glamis Fear comes with all waterproof* electronics so you can drive in all weather conditions. E’ disponibile pronta consegna l’addittivo Matrix, prezzo consigliato al pubblico € 18, 00. You are currently browsing the BRacing blog archives for maggio, 2014.